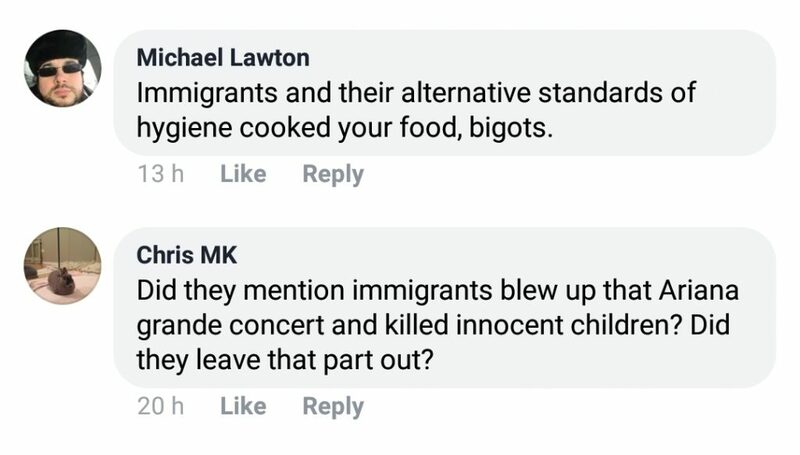 This is a prime example of the hate influence that Stephen Yaxley Lennon (aka Tommy Robinson) has over his misguided fanbase. 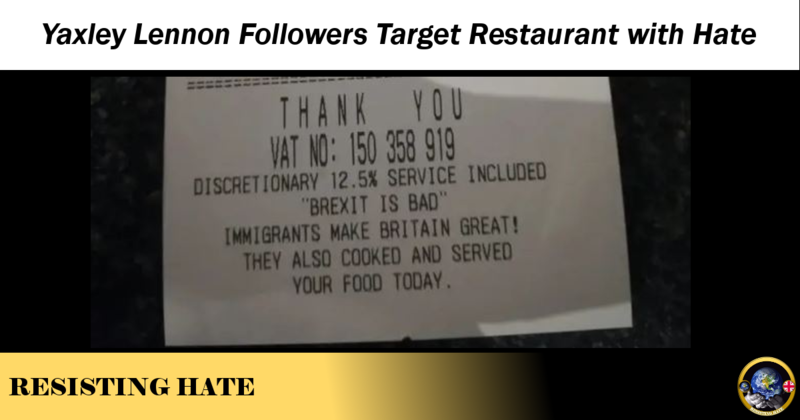 Robinson published a Facebook post (reproduced below) naming a restaurant in Waterloo which had chosen to print the slogan “Brexit is Bad” at the bottom of their customer receipts. The reaction from Robinson’s friends and followers is a clear indication of the type of person who chooses to follow him. 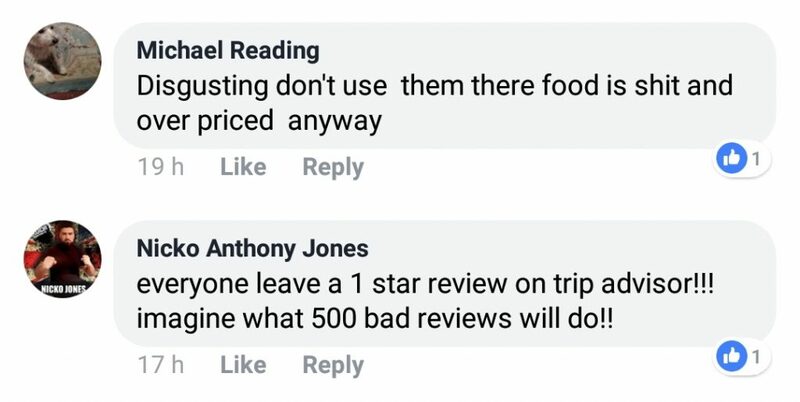 There were racist comments about the hygiene of ‘immigrants’, calls to ‘burn the kitchen down’, advice on how to contact the restaurant owner to abuse him and multiple suggestions to ruin the business by posting fake reviews on Facebook and Trip Advisor. 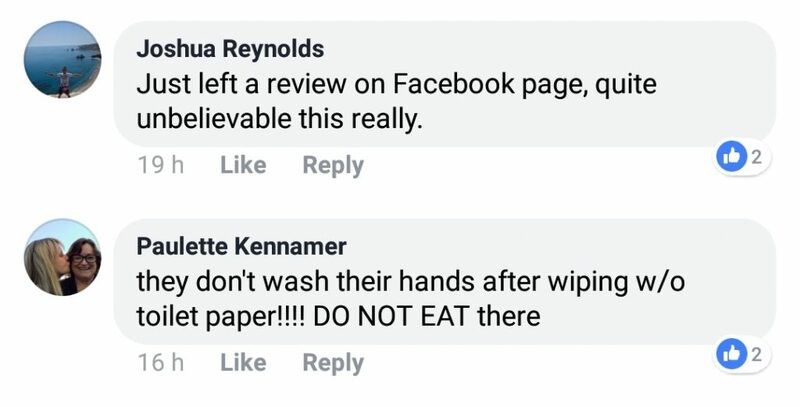 It was a vindictive outpouring of hate and abuse for no reason other than the fact that they disagreed with the message printed on a receipt from a restaurant most of them had never even been to. We have published a selection of the comments that followed Robinson’s post. It makes bleak reading. However this does strengthen Resisting Hate’s argument that allowing a known hater with this level of influence over the easily led, foolish and gullible is dangerous. 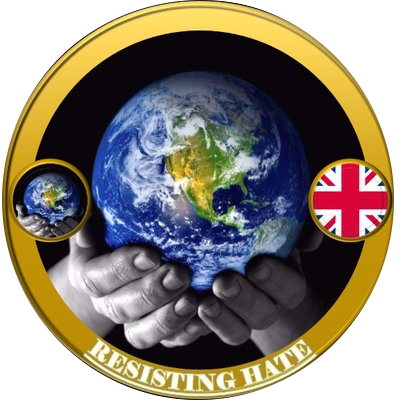 As long as he uses social media to incite, manipulate and stir up hatred, Tommy Robinson should not be allowed to use a public platform to push his agenda of division and discord. 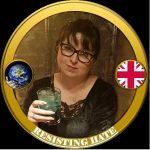 Go and look at Tommy Robinson’s mate, *Shazia Hobbs on Gab. It’s her official account. Her comment is shocking! ‘Immigrants makes Britain great’ – Yes doing the rubbish low paid jobs, to the near point of being slaves. How about the caring anti-hate groups encourage those in cushy office work to pull up a chair at their desks and job share with a low paid immigrant worker? Or have a culture where we occasionally trade places to give them half a chance in life.